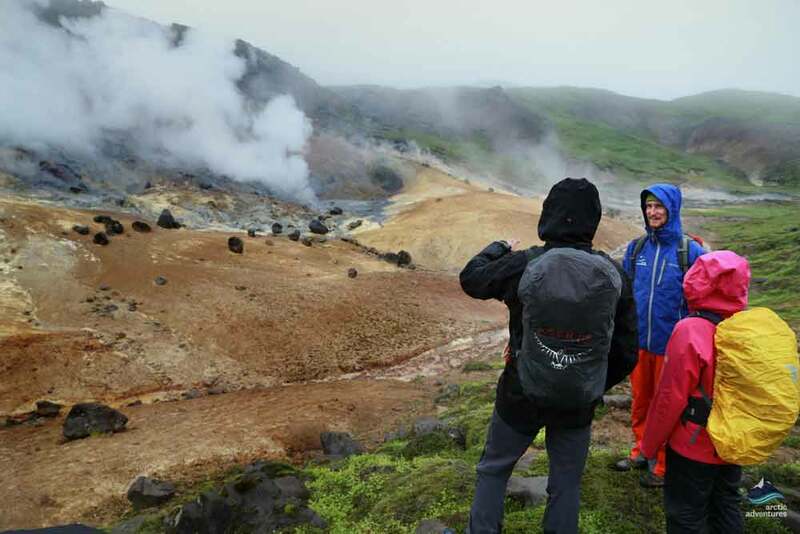 A scenic hiking tour to the Reykjadalur valley that reveals plumes of steam, bubbling natural hot pools and trickling thermal creeks! 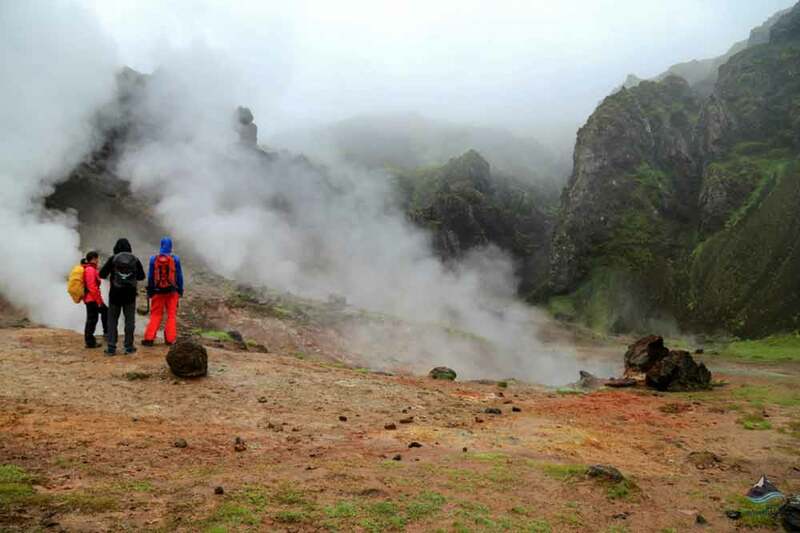 Have you ever wanted to bathe in a natural hot pool? If your answer is yes, you have found the perfect activity, because baths do not get any more natural than this! 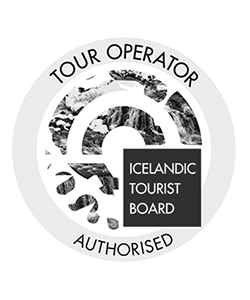 This tour is available both as a meet us on location option as well as with pick up from Reykjavik (+2000 ISK). 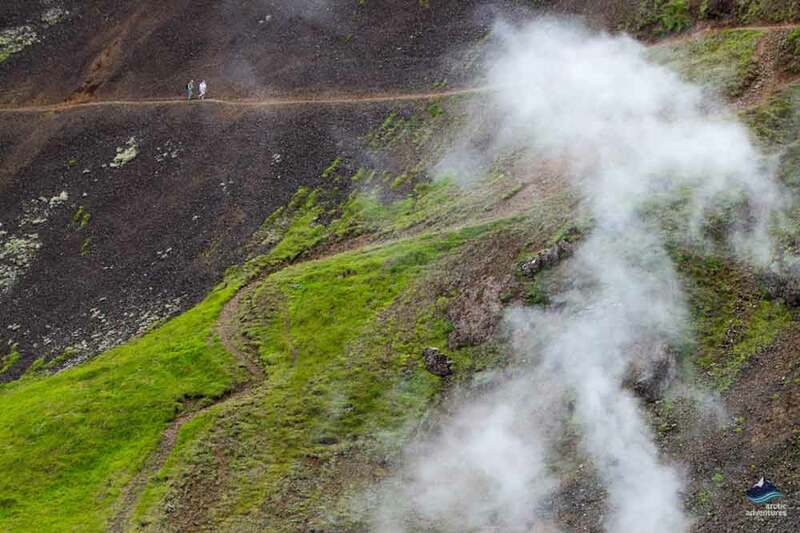 Your hot spring hiking adventure starts by hiking up to Hveradalir valley from the small town of Hveragerdi, located in about 45 KM distance from Reykjavík. 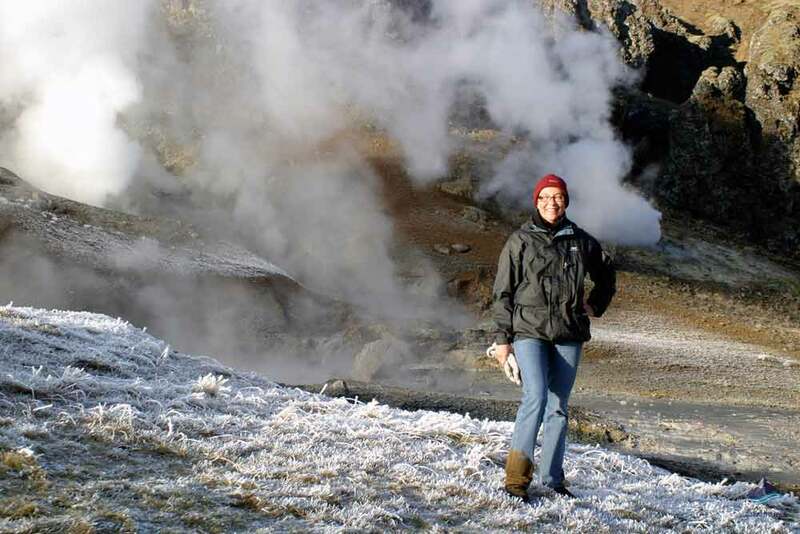 Hveragerdi is the town of natural hot springs and you can see steam rise from the earth at almost every corner around the populated area. 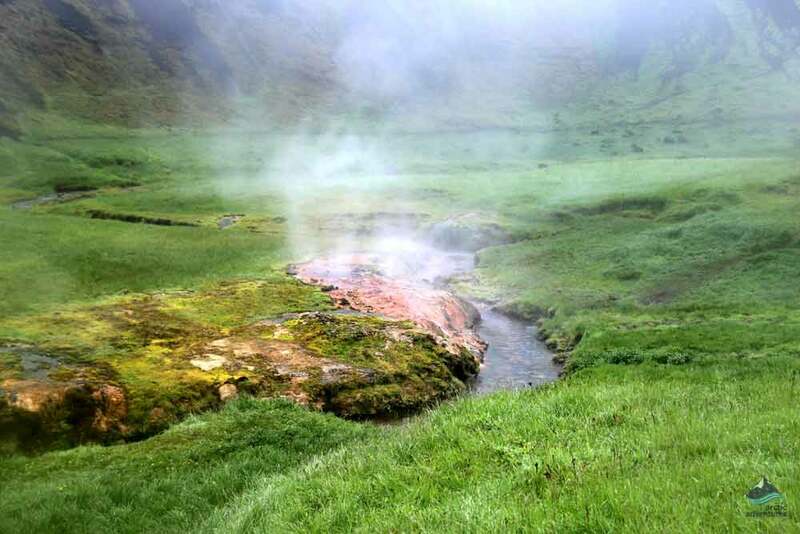 The hike up to the naturally hot river where you will have the option to bath in takes about 45 minutes and the hiking path itself is in relatively good condition so the tour can be suitable for all over the age of 10 that are in a good physical condition. 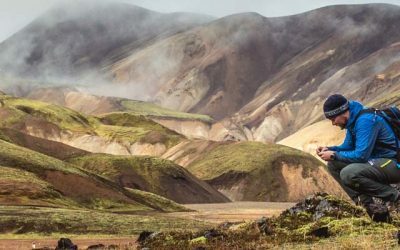 As this is a hiking tour we highly recommend good hiking shoes for this tour, these are essential during the winter months. 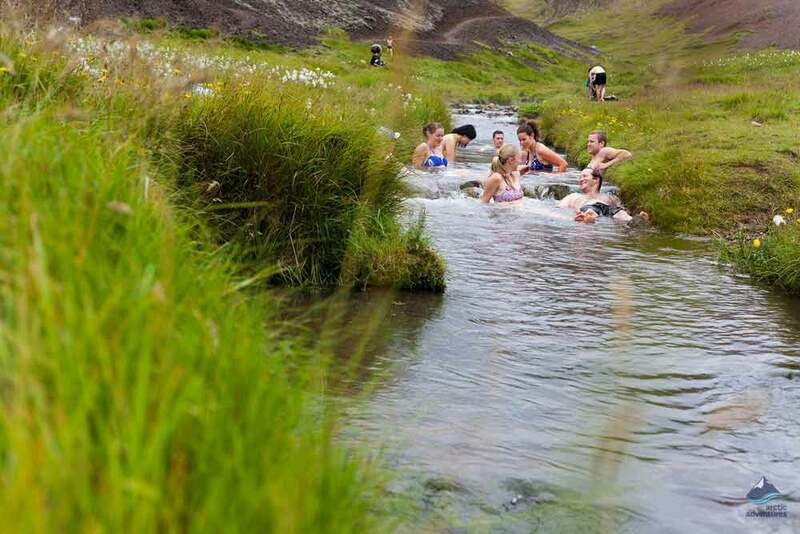 Once you reach the place where hot water from the springs blends together with the cold spring water it is time to jump in and relax in the perfect temperature of the hot river, surrounded by magnificent landscape before making your way back down the valley to the starting point in Hveragerdi. If you are meeting us on location then the meeting point is at the N1 Gas Station in Hveragerdi town. Meet on location time: If you have chosen to meet us on location please be ready at 09:00 am. The tour is approx. 3 hours long, 6 hours with pick-up from Reykjavik. Remember to bring: Warm and waterproof outdoor clothing, head-wear, gloves, lunch, snacks, water bottle and last but not least – a bathing suit and towel! Good hiking boots are essential. 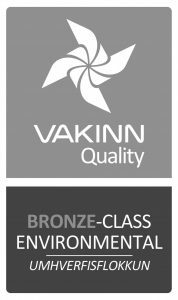 *From 1st of April - 30th of Sept the meeting time is at 09:00. From 1st of Oct - 31st of March) the meeting time is at 10:00. *If you have added pick up from Reykjavík: From 1st of April - 30th of Sept the pick up will start at 08:00. From 1st of Oct - 31st of March the pick up will start at 09:00. *During the winter there might be ice and snow on the hiking path making the hike a little harder. 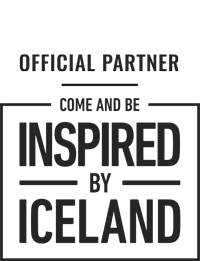 Our guides make sure that everyone is safe and comfortable in these circumstances. 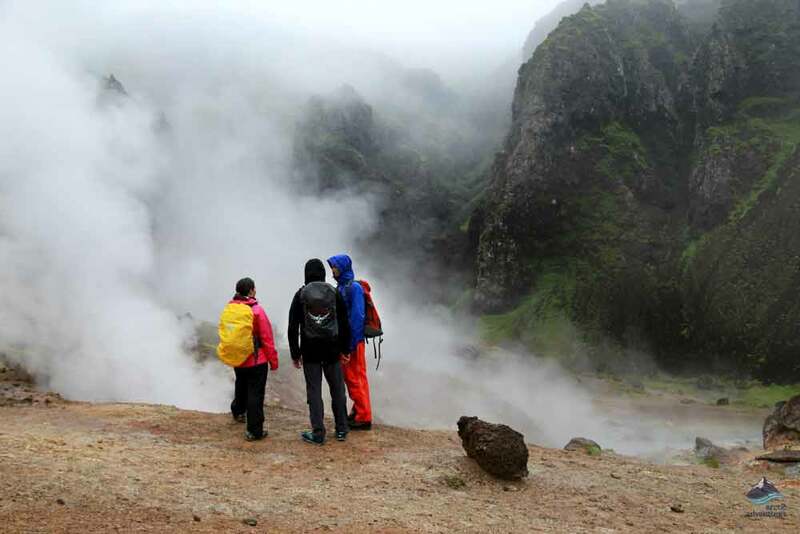 We assess the conditions before each tour and provide crampons if necessary. I have found this trip by chance and I am very glad I looked into it. It was the highlight of my stay in Iceland. The company and the guide (in my case, Benedict) were top of the class when it came getting me and fellow hikers around and they also paid equal attention to all. I can’t be happier. Wow, what a day I’ve just had. 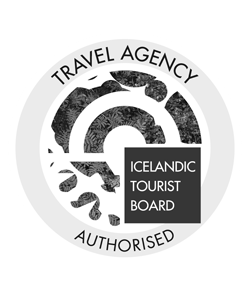 Picked up in Reykjavik by our guide, driven through stunning snow scapes to the start of our Hot Springs hike, and then off through challenging, snowy but doable conditions to the hot river at Rekjaldor. Hike was approx. 3.5K there, some steel climbs and deep snow – hard work but good for the thigh muscles! Then stripped off and lay in the hot waters (too hot in places but lovely further down) and then the 3.5k hike back (mostly down hill). Utterly amazing, real sense of achievement and jaw dropping scenery. Totally worth it. Guide was great, really nice guy, a mountain guide who knows lots about the area. Would highly recommend this trip! 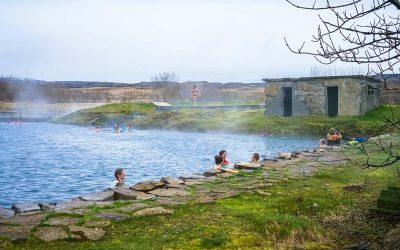 Hveragerði, just 45 minutes outside Iceland’s capital city of Reykjavik, was built over a volcanic magma chamber, capitalising on the abundance of steam and hot water rising from the ground. A short hike from the park to the pools took us through spectacular scenery, waterfalls, lava eruptions and sheep peacefully grazing. The pools were empty as we arrived and we all enjoyed the relaxing soak, the exchange of world views and the feeling of well-being. We left as the tourists arrived. On the way back we passed the beautiful, gentle Iceland ponies on the trail.. Guide Teitur was knowledgable and facilitated the comraderie and conversation amongst Australians, Canadians and a lone Polish from London. 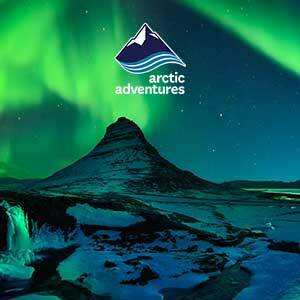 Definitely recommend Arctic Adventures on the basis of this experience. 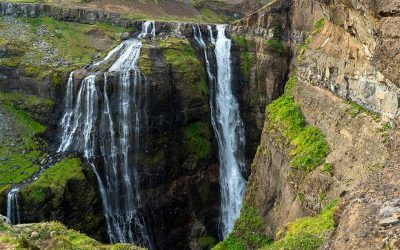 Once the highest waterfall in Iceland, this stunning fall is located in the most beautiful setting making the hike one of the most stunning adventures your can embark upon.